Lately miniature “teacup” pigs have popped up in ads as an adorable alternative to the family dog, but they are also a complete scam. What those ads fail to mention is not only will those adorable little porkers not stay tiny, they can grow up to 100 pounds (or much more) and don’t always settle into life with human companions. Despite that fact, images of cuddly little piglets with celebrities like Paris Hilton and Honey Boo Boo have convinced buyers to seek out the pigs, only to be forced to give them up when the pig outgrows them. Unscrupulous breeders convince unwary buyers that the tiny little pigs, sold when they are just piglets, will remain small, but they rarely do. Even worse, some pig breeders will advise buyers to limit the piglet’s food so that it won’t grow too large, essentially starving the animal. “Yes, there are a few pigs that are in the fifty to seventy pound range that aren’t starved,” she says, “but they’re far and few between. We almost never see them,” says Crystal Kim-Han, a pig rescuer. Teacup pigs are a marketing scam that has been around for at least 20 years, waxing and waning in popularity. The term is particularly misleading because the pigs, even when they stay fairly small, are still the size of a large dog when fully grown. Once they are fully grown, many owners find that they can no longer support the massive animals with their unexpectedly voracious appetites. 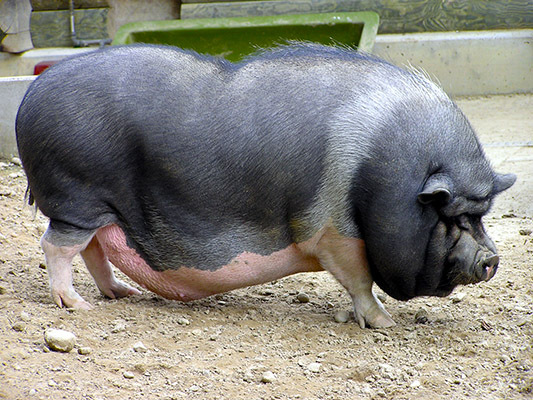 To make matters worse, many pigs fail to become potty trained, despite breeder assurances. 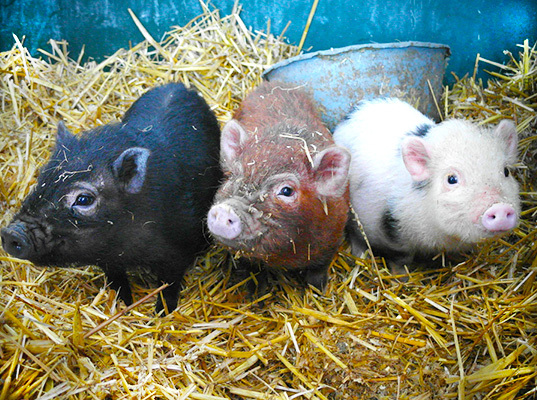 Some pigs never acclimate to life with people, unlike dogs and cats, which are bred to be companions to humans. You can check out some pictures of teacup pigs before and after they are grown over at Southern California Association for Miniature Potbellied Pigs. Thank you for your article. I totally agree. I'm a veterinarian and have spayed and neutered a few of these novelty pets, only to find out within the next 6-12 months that they are at the animal shelter because they plow through 50 pounds of dog food in a sitting and root up the porch once they're grown past their promised 20 pounds. Likely people who follow inhabitat will be wise enough to avoid this scam, but please share with others so we can spare these lovely creatures a life in the pound. If you really want a tiny porcine buddy to live in your house, just get a Boston Terrier.